2018 sees Make It Rayne slightly broadening it’s horizons with non-beauty topics. I would LOVE to hear your feedback in the comment section if you have the time to spare! So my boyfriend and I – lets call him, oooh, Marius (because that is his name) – have decided to be more adventurous with our liquor. I mean, who doesn’t feel fancy AF with a glass of something strong on the rocks in their hand? I certainly do! 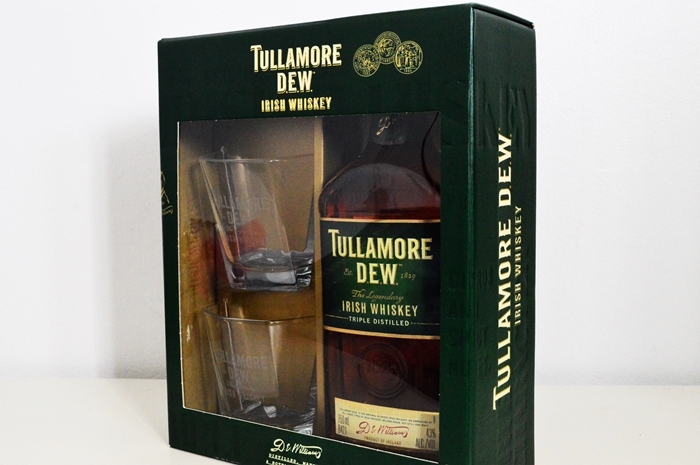 And Tullamore Dew Whiskey is one of those brands that you just know. 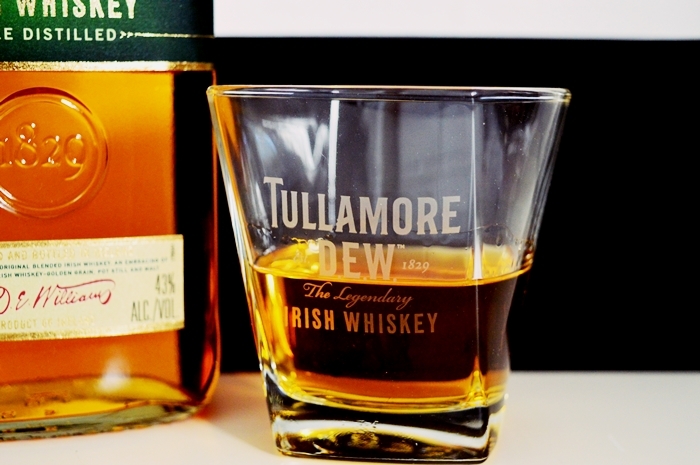 As a matter of fact, it is the second highest selling brand of Irish whiskey worldwide! They sell near to one million cases per year. 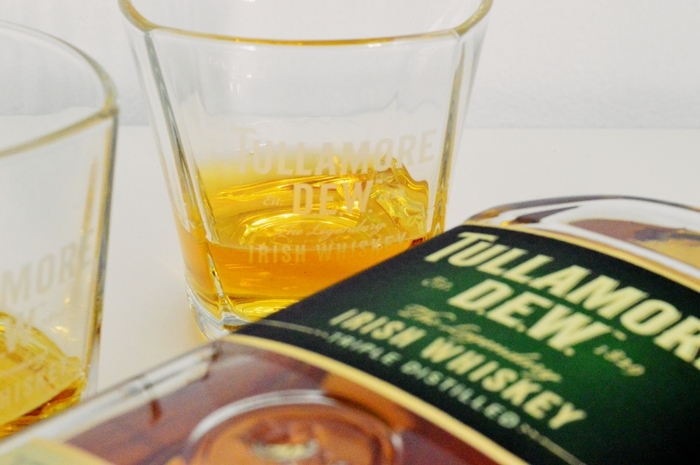 Worldwide there are seven different varieties of Tullamore Dew Whiskey, including a fancy schmance 15 Year Old Triology! However, the one I drink is the original make: – 40% ABV; a blend of triple-distilled pot still and malt, plus grain whiskey; matured in ex-bourbon and sherry casks. I used to always drink my liquors mixed with something OR in a cocktail format. 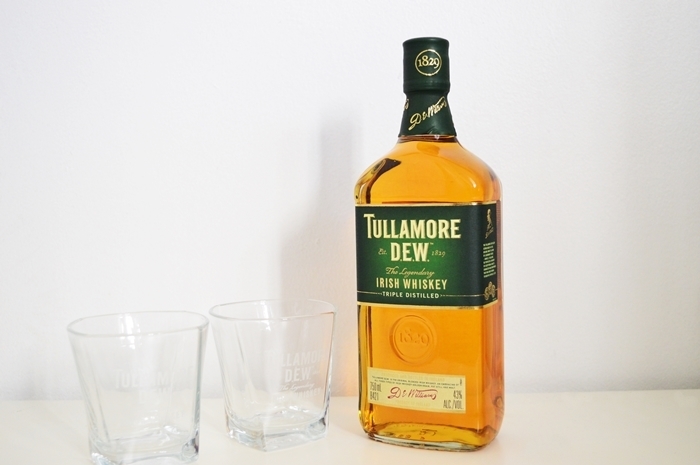 But Tullamore Dew is literally the only strong liquor that I can drink on the rocks. My favourite blend is to add just a small dash of tonic water – it adds a little something if you are after it. I know you are not reeeally meant to load up the ice in whiskey. But hey – I am a novice AND I enjoy it that way! When I featured this whiskey on Instagram I actually had a few people specifically ask me if the whiskey is “made in Ireland”. And yes, it is indeed! 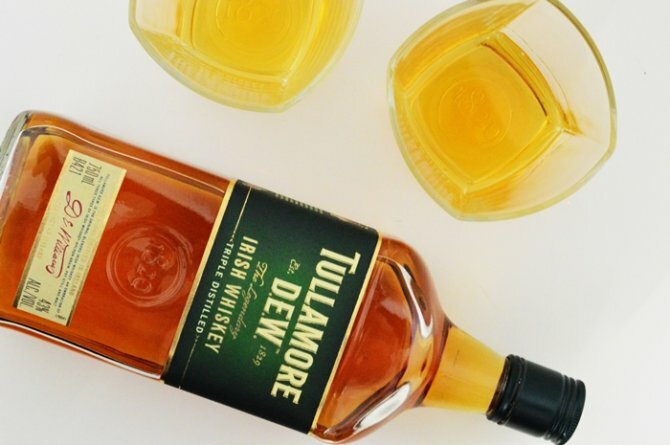 The Tullamore Distillery is located in Tullamore AND you can even visit their Visitors Centre to learn more about the behind-the-scenes process and history behind the brand. You know, in case you ever visit Ireland one day! This is definitely not off the cards for me, my paternal Granny’s side of the family are the Flanigans. If that is not the most Irish name ever, I don’t know what is. It is very affordably priced at R269 and now and again you are able to find these gorgeous gift box style offerings. As far as I know, these were a Christmas special which means they are no longer available. BUT… I could be wrong. It is available for purchase from all your normal liquor stores, Makro, Takealot, Pick n Pay and Checkers Liquor – the usual! Thank you for reading guys! And remember to let me know in the comment section below – are you interested in non-beauty topics? I will of course keep the majority to beauty! I do also have some upcoming overseas traveling which could be interesting for you to follow. Let me know!